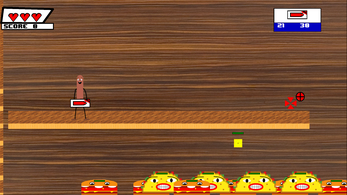 You play as a hot dog in a grocery store, surrounded by killer Cheez-its, burgers, and tacos, armed with various food-based weapons. Use your platforming skills and accuracy to progress through the levels and defeat as many enemies as possible. 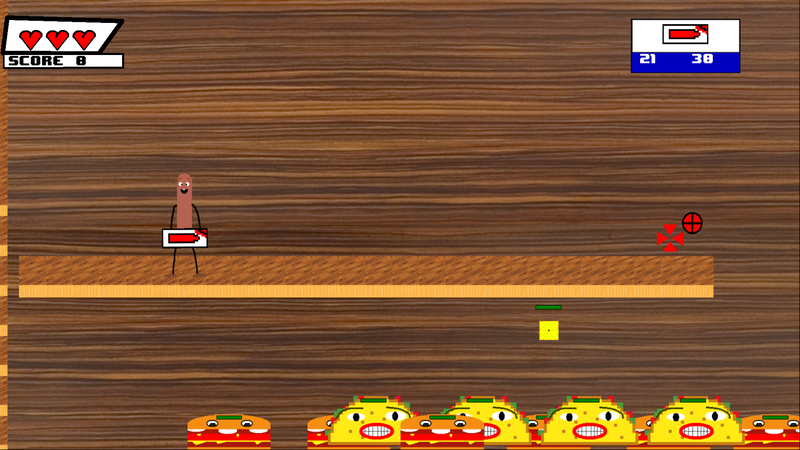 This game is loosely inspired by the movie "Sausage Party". Use WASD to move, Space to jump, R to reload, 1,2,3,and 4 to reload, aim and shoot with your mouse, Escape to pause.